The KAY club is sponsoring the Spring blood drive. I’m a big believer in giving blood (I’m close to my second gallon pin) because it’s a simple way to change the world. So go donate blood. Save lives and change the world. 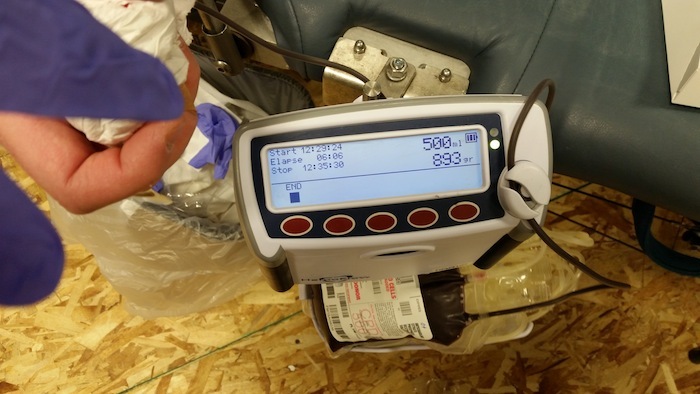 Also, there is a little clock on the donation blood tables that keeps track of how fast you donate blood. I’ll donate blood and record my time. You donate blood and record your time (you need photographic proof; it’s ok to take a picture with your phone). If you beat my time, we’ll find some extra credit. Students need to be at least 16 years old (sorry 15-year-olds. You’ll have to change world some other way for a few more months) and get parental permission. Signups are in the dining hall during lunch or before/after school. 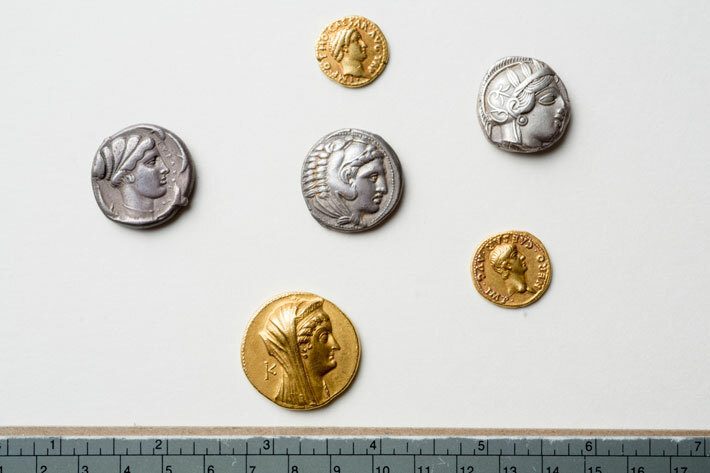 Rare Greek and Roman coins found… in New York?! Any World History or Honors World History who would like to earn some additional credit (NOT Extra Credit) on the Do-It-Yourself Field Trips may go on a second field trip as an optional assignment. The second field trip will be recorded as a normal assignment– all the usual extra credit or partial credit options apply. Students usually do well on the DIY Field Trip project, with most earning full credit or nearly full credit. 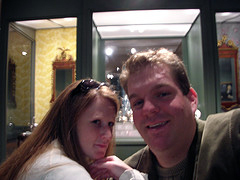 If you want to learn more about history by visiting another museum, hooray! I’m happy to record academic credit for your effort. Details on the DIY field trip are in the “Classroom Documents” folder. All DIY Field Trip reports are due on the last day of class in April. This is a fun project (even if you don’t believe me right now), but don’t put it off until the last minute. Tomorrow is Friday, and since it’s Lent, it’s the day where we Catholics act unusually forlorn over our weekly lack of meat. I like fish and would have it any day, but during Lent, it seems like such a burden to go meatless. Our friends at the Fellowship of Catholic University Students (“FOCUS”) have done an analysis of all the fast food fish options for you to pick up for your after-school snack on the way home. The Wendy’s sandwich has come a long way in recent years. It was dry and terrible a short time ago, but the redheaded (presumably) chefs at Wendy’s have really improved it in recent years. I assume that no one will be surprised to find that the worst two sandwiches are from Arby’s. This is further proof that Arby’s is the “oatmeal raisin cookie” of the fast food world. I’m not really sure how to use this space– so until I figure it out, I’m going to use it as a forum to talk about things that aren’t a part of the curriculum. Like this post, for example. It’s directed to the boys, but the girls are welcome to play along, too. I love ties and wear one almost every school day. I’ve noticed that a lot of the boys at our school haven’t really mastered the art of tying a tie– and their knots give them away. When a boy just loosens and retightens the knot every time he takes it on and off, the knot becomes smaller and smaller. If you see a boy with a tie knot that smaller than a ping-pong ball, you can be pretty sure that his dad tied his tie and he just slips it on for game days. There are 2 basic knots that will get you through in life: a four-in-hand and a windsor knot. A four-in-hand is the workaday knot. It is simple, fast, and reliable. It’s the knot I use every day at school. I like its slightly-off-whompus asymmetrical shape. It looks professional (you’re wearing a tie, as opposed to the unwashed masses in their polo shirts. /snob) but not pretentious. It is youthful (I’m totally youthful) and earnest. But more formal affairs call for more formal knots. If you get invited to a wedding or if your job requires more formality than history homework, you should learn the Full Windsor knot (this knot has a smaller cousin, the half-Windsor. It’s nice, but anything you can do with a half-Windsor, you can do with a four-in-hand). I’m actually surprised how often I see this knot at school. It is a triangular, symmetrical, and dressy wide knot. It’s the perfect knot for a wide collared shirt. Ronald Reagan used this knot every day because he thought his head was too small and he believed this knot tricked the cameras a little in his favor. It’s pretty formal for SJA game-day, but when you’re in high school, the game-day tie is about as formal as your life may get for a while. Wear it with pride. Read more on these knots (and the worthless cousin, half-Windsor) here: http://artofstyle.hucklebury.com/tie-knots-for-different-occasions/. Of course, button down the collars on your lapels (if you have them). Unbuttoned collars is the oxford-shirt equivalent of driving with your blinker on. Sure, people do it. But those people are making a mistake. Should we talk about bow ties? Maybe one day.